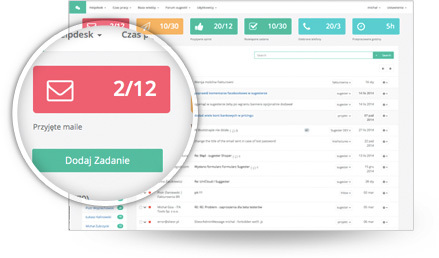 Sugester is a powerful and efficient helpdesk for your business. Single inbox: always be on the same page as your customers. Stop losing customers due to long response times. Sugester helps you collect and sort through incoming messages, assign team members to deal with each question and monitor their resolution. Providing stellar customer support has never been so simple. Self-service support: save time and resources. Cut down on helpdesk costs by helping your customers help themselves. Sugester makes it easy to share how-to's, FAQs and solutions to common problems. Not every issue requires the involvement of your team. Publish help materials online to save money and provide a 24/7/365 support channel. Complete integration: e-mails, phone calls, chat messages and social media all in one place. A good helpdesk has to monitor customer communications across all channels. With Sugester no customer question will fall through the cracks again: everything is collected and presented to your team on a single, clean page. Sugester gives you the tools you need to effectively manage, edit, annotate, track and activate your customer database. Our CRM allows you to easily import your existing records and get to work immediately - adding notes, tags or reminders takes just a few clicks. Other useful features include mass mailing and call registering: in a pinch, it's all you need to get your sales operation up and running. There's no better way to reach your customers than by having a real-time conversation with them. Our embeddable chat widget enables just that: reaching your clients right when they need it. Installation and setup take just a few minutes and give you access to a suite of productivity-enhancing features, such as reply templates, activity tracking and real-time typing previews. This is the heart of Sugester: all external and internal communications available on a single platform. Questions from co-workers and customers are gathered on a single, clean page. 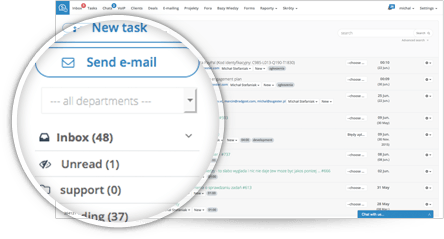 Our tools make it easy to assign tasks, prioritize actions, track progress and measure efficiency. A one-stop solution for all your communication and time management needs. Build a support community around your product. Thanks to Sugester users can easily make comments and suggestions which are then gathered in an easy-to-access knowledge base. Users can vote on each other's submissions - you always know which suggestion has the highest priority. Your answers are publicly available, giving your customers a sense of responsiveness. All queries and answers are aggregated in a usable, SEO-friendly format. Never waste useful content again. Your team works hard to provide the best possible answers to your customers' questions - make sure that these answers are put to good use. Our tool allows you to catalog and re-use the content produced by both your team and the user base. In case a particular issue is not documented in the knowledge base, users can easily post a new question. The knowledge base also serves as an excellent SEO tool. The combination of curated and user-generated content will effortlesly boost your search engine ranking. Make sure that the right team member is doing the right job. Sugesteris a powerful team management tool, offering a unified interface for creating, prioritizing, assigning and monitoring tasks. Ensure your product's success by always having the right person in the right place. Make contributing to your knowledge base fun! Our Suggestions Forum includes gamification features which promote user engagement and make it easy for you to rank, track and reward top contributors. Sugester is an intuitive and affordable tool that quickly gathers feedback about online products. I was especially impressed by the commitment of the team to resolve issues that I submitted. I recommend Sugester to any business with an online presence. Sugester has been with us from the very beginning. Sugester is visible on the page but does not interrupt its visual coherence; it is accessible whenever needed - just as it should be.